What bi-fold door configurations can I choose from? Home → Doors → Doors FAQs → How do I keep my external doors secure? The flexibility of bi-fold door configurations is part of what makes them so desirable, but it can also give homeowners a headache. With so much flexibility, how can you make the right choice for your home? To make life easier for you, KLG Rutland has put together this short article on the different bi-fold door configurations that you can choose from and why you might want to consider picking one over another. 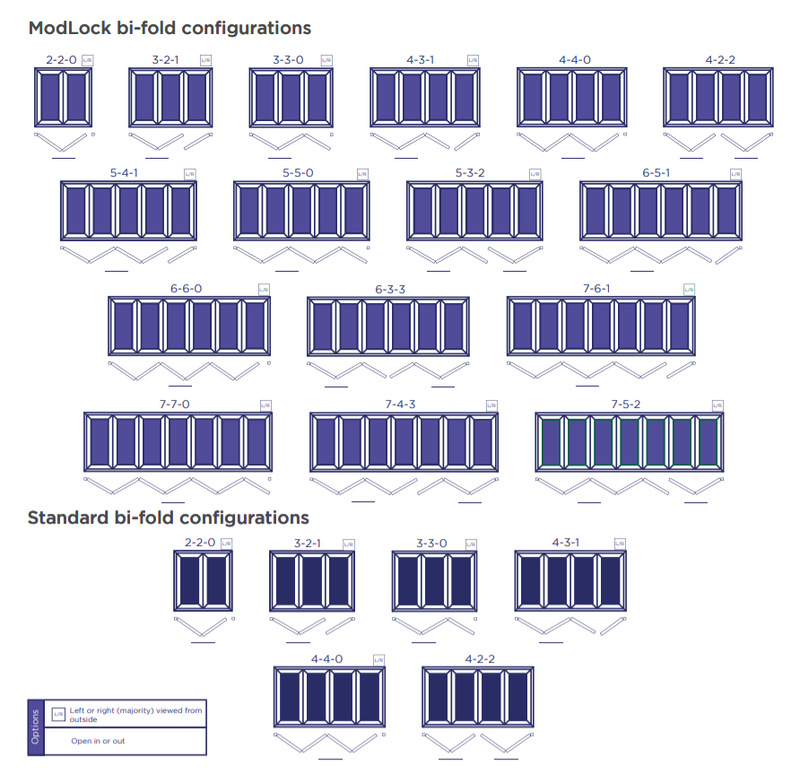 Bi-fold configurations fall into two categories: single and twin units. A single unit is made up of a single door with multiple panels. At KLG Rutland, these units can include anything from two to seven panels. Alternatively, you can choose a configuration that contains two individual bi-folds: a twin unit. These units join in the centre, with locking mechanisms in the centre of each unit, and fold away to either side. The doors don’t have to be symmetrical, either. It is also possible to have a bi-fold unit and a regular single door within the same frame. These twin bi-folds still rarely exceed seven panels overall, with a 4-3 and 5-2 split being common for the largest configurations. Why choose one configuration over another? The advantage of a single unit over a twin unit of a similar size is that they tend to need less space. Because the door only opens in one direction it only needs to be able to fold away down one side, which increases the options available to you in terms of furnishing and decorating around the door frame. If you’re only looking for a small bi-fold door, you will always want to choose a single unit. Double units have to be at least three panels wide, while a single can be just two. This makes them ideal for smaller houses or houses with less available wall space. However, a large single unit, even one made with all of KLG Rutland’s modern technology, can be unwieldy. A seven panel door is always going to be heavier and trickier to maneuver than a twin unit made from two smaller, lighter doors. 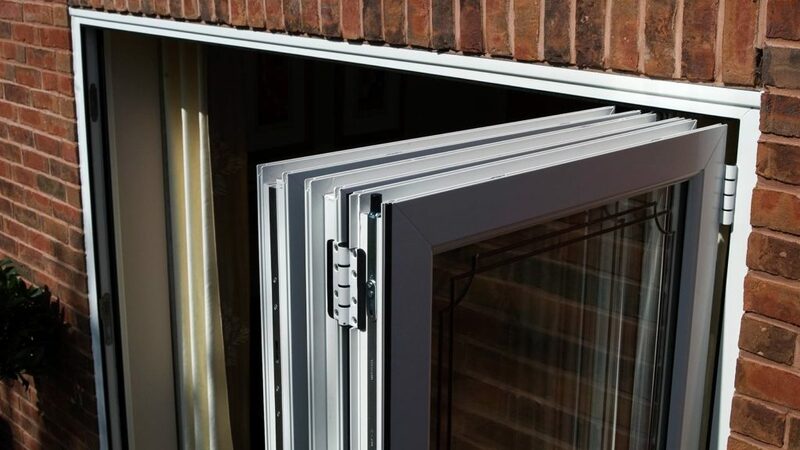 You should also bear in mind that twin units have the advantage in terms of flexibility, though single units are certainly more flexible than other types of patio door. Twin bi-folds have the distinct advantage of being able to open halfway, leaving one door closed while you open the other one, or opening both doors partially. If you’re looking for this freedom, then they may be the right choice. Finally, if security is a concern you can rest assured that any bi-fold door configuration manufactured and installed by KLG Rutland is going to be completely safe. All our bi-folds are available with our patented ModLok multi-point locking systems to ensure that every installation offers the highest level of security. Get in touch with us to order your perfect bi-fold doors.